Tickets are on sale now for the 2019 Allam British Open, with the best squash players in the world set to appear at the University of Hull Sports and Fitness Centre between May 20-26. The British Open is the sport’s longest-running and most established tournament and has become one of the most recognised tournaments on the PSA Tour calendar since its first edition in 1929. Some of the greatest squash players in history have had their names adorned on the coveted trophy, such as Pakistan’s Jahangir Khan, Irishman Jonah Barrington, England’s Nick Matthew, Malaysia’s Nicol David, Australia’s Heather McKay and Egypt’s Nour El Sherbini. The ‘Wimbledon of Squash’ will take place in Hull for a seventh consecutive year, with the action moving to the University of Hull’s new sports complex for the 2019 instalment. 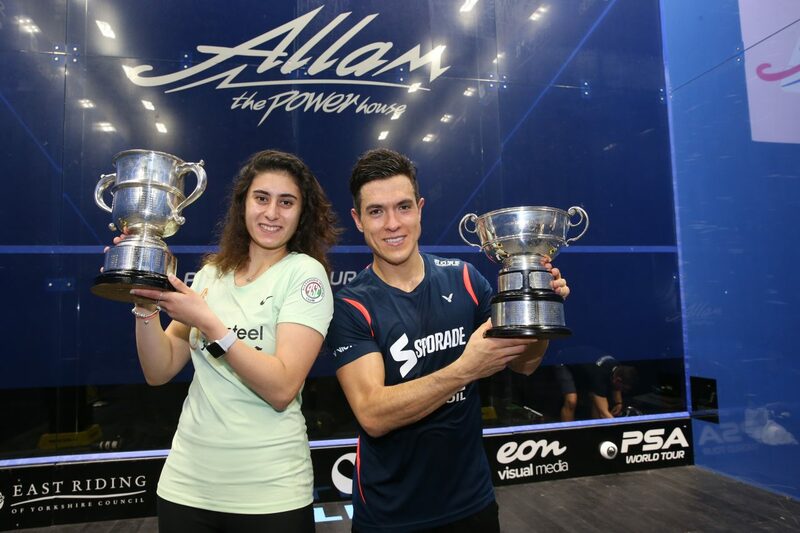 Defending champions Miguel Rodriguez and El Sherbini will return alongside stars such as World No.1s Mohamed ElShorbagy and Raneem El Welily, and home favourites James Willstrop and Laura Massaro in what looks set to be one of the defining weeks of the PSA Tour season. “The British Open is one of the marquee tournaments on the PSA Tour and some of the greatest squash matches in history have been staged at the ‘Wimbledon of Squash’,” said Tournament Promoter Tim Garner.